Since opening our centre in 2014, we've been providing a high-quality care program for our children by creating bonds with our families and local communities. To give our children the tools to create their best start in life, we regularly expose them to incursions, employ only the best educators to guide them, and implement an intense school readiness program for our preschool-aged children. I can’t thank the educators at Little Zak’s Jordan Springs enough for everything they do! I’ve never encountered a centre before where everyone on the team treats the children with so much love and concern. Thank you from the bottom of my heart! My Child has attended Little Zaks Academy in Jordan Springs since November 2016 in the Super Snails room. During this time he has built secure and trusting relationships with all his carers. As my child has special dietary requirements he is provided with a nutritious alternative meals each day which are prepared by the centres on site chef. 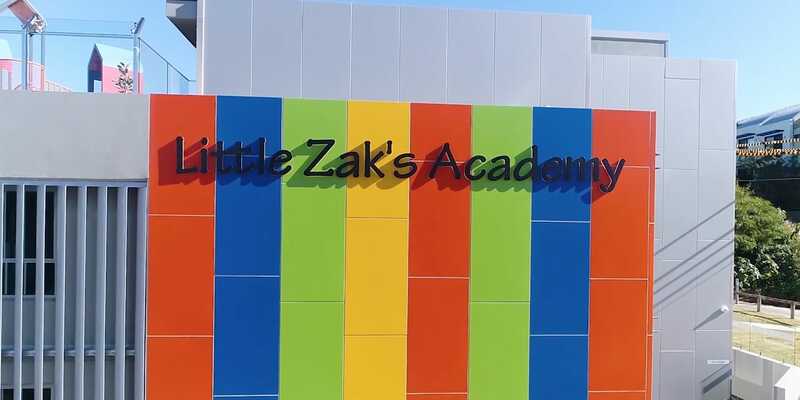 I would highly recommend Little Zaks Academy Jordan Springs for anyone who is looking for a high quality education and care service for their child. Call us (02) 8197 2690 or contact us using the form below and we will get back to you as soon as possible.